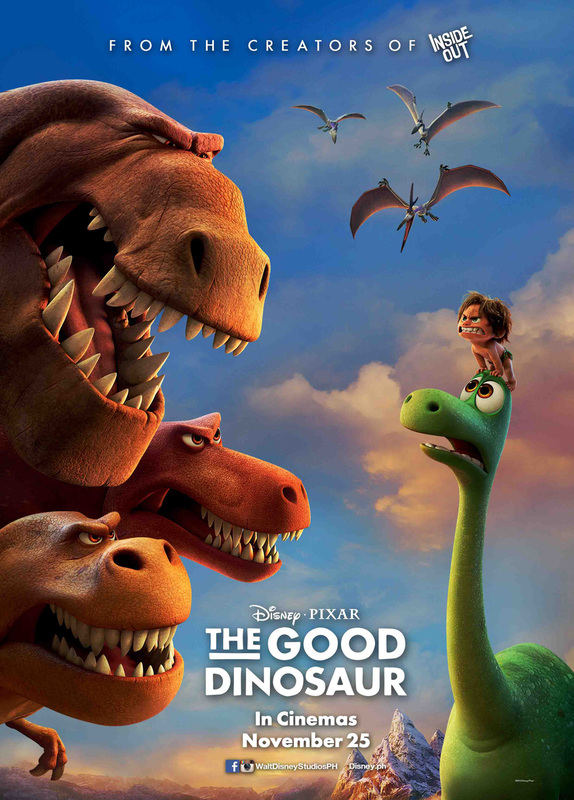 The payoff poster and final trailer for Disney-Pixar's new comedy adventure “The Good Dinosaur” have just been unveiled the studio. The trailer may be viewed below. Besides showcasing a brand new kind of gorgeous, photo-realistic animation, the new trailer revealed for the first time how the main characters sound. Opening across the Philippines on November 25, “The Good Dinosaur” is distributed by Walt Disney Studios Motion Pictures International through Columbia Pictures. Follow the official social media accounts of Disney in the Philippines, namely, (FB) WaltDisneyStudiosPH, (Twitter) @disneystudiosph and (Instagram) @waltdisneystudiosph.